A step-by-step guide to the perfect eyebrows. From filling to shaping, here’s what you need to know. You’ve probably heard this before: eyebrows shape your face, which means having well groomed, proportional arches is crucial to your overall make-up look. 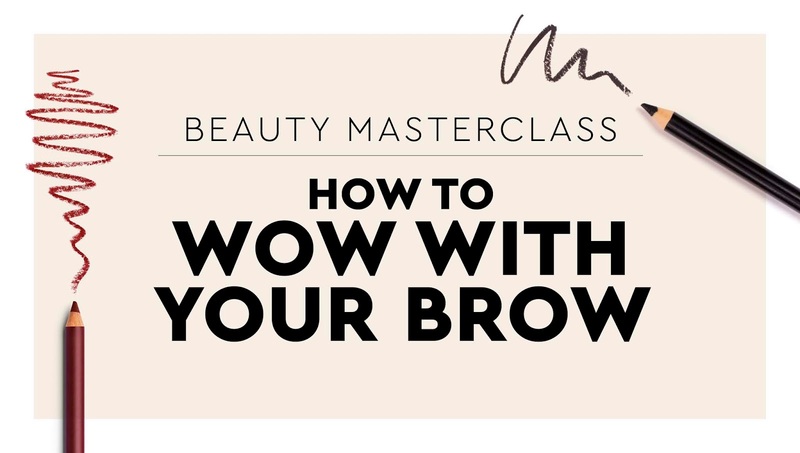 Here, we take you through a step-by-step guide for brows to make you proud. Don't underestimate the power of the brow. Your eyebrows can either make or break your face and your entire make-up look. A pair of polished brows makes a strong statement and is one of the easiest ways to change your look. Here are three easy steps you can follow to ensure your brows wow. Begin by brushing your brows upwards with a spoolie. This will tame out any unruly hairs and will also help you see the natural shape of your arches. Next, using a brow pencil, fill in the gaps. Your brows aren’t meant to be a monotoned; you want to give them a gradient effect. Starting from the inside, use light feathery strokes to fill in the sparse spaces you can see, saving the bolder strokes for the tail end of the brow (towards your temple). Brush your brows again with the spoolie, as this will help blend and create a fuller look. Your last step requires a little setting gel. Use one of these brow gels for all-day perfection. Videographer: Roice Nel. Hair & make-up: Renee De Wit/Gloss. Model: Morgan/Boss Models. Production: Leila Petersen. Surfing the Internet... reading a mag at the same time... super coolies# Thank you team Edgars💪!